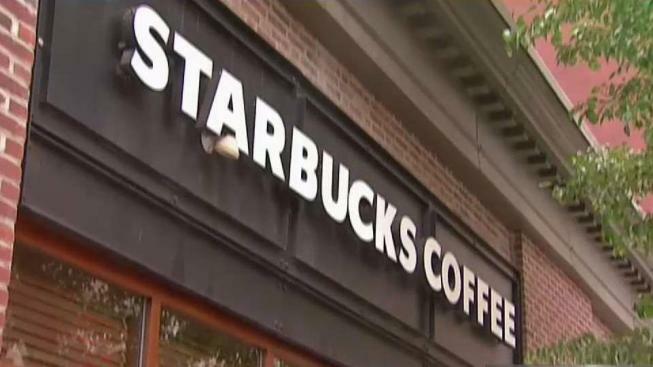 Starbucks will be closing roughly 8,000 locations nationwide following the arrest of two black men in a Philadelphia location last month. Outside-owned locations, such as the ones found in grocery stores, may remain open. Starbucks, mocked three years ago for suggesting employees discuss racial issues with customers, asked workers Tuesday to talk about race with each other. It was part of the coffee chain's anti-bias training, created after the arrest of two black men in a Philadelphia Starbucks six weeks ago. The chain apologized but also took the dramatic step of closing its stores early for the sessions. But still to be seen is whether the training, developed with the NAACP Legal Defense and Education Fund and other groups, will prevent another embarrassing incident. "This is not science, this is human behavior," said Starbucks Chairman Howard Schultz. He called it the first step of many. The training was personal, asking workers to break into small groups to talk about their experiences with race. According to training materials provided by the company, they were also asked to pair up with a co-worker and list the ways they "are different from each other." A guidebook reminds people to "listen respectfully" and tells them to stop any conversations that get derailed. 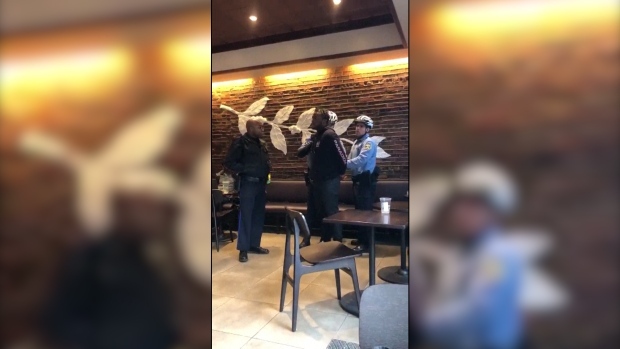 Video of police arresting two black men at a Philadelphia Starbucks quickly gained traction on social media and sparked controversy. A Starbucks employee called police after the men sat inside the store but didn't make a purchase. Witnesses say the men tried to explain they were waiting for a friend but police arrested them and led them away in handcuffs. A woman who witnessed and recorded the incident spoke to NBC10. "I found out things about people that I've worked with a lot that I didn't know," said Carla Ruffin, a New York regional director at Starbucks, who took the training earlier Tuesday and was made available by the company to comment on it. Ruffin, who is black, said everyone in her group said they first experienced bias in middle school. "I just thought that was pretty impactful, that people from such diverse backgrounds, different ages, that it was all in middle school." She said the training and discussion was needed: "We're never as human beings going to be perfect." Starbucks declined to specify how much the training cost the company, though Schultz said it was "quite expensive" and called it "an investment in our people and the long-term cultural values of Starbucks." The chain also lost sales from closing early, but the late-in-the-day training sessions meant no disruption to the busier morning hours. At the company's Pike Place Market location in Seattle, commonly referred to as the original Starbucks, the store stopped letting people in at 1 p.m.
Philadelphia police released the 911 call from a Philadelphia Starbucks employee that led to the arrest of two black men at the coffee shop. Trina Mathis, who was visiting from Tampa, Florida, was frustrated that she couldn't get in to take a photo but said the shutdown was necessary because what happened in Philadelphia was wrong. "If they haven't trained their employees to handle situations like that, they need to shut it down and try to do all they can to make sure their employees don't make that same mistake again," said Mathis, who is black. Others visiting the store questioned whether the training would make a difference or suggested it was overkill. Anna Teets, who lives in Washington state, said the problem has been fixed and the company has dealt with the situation. "It's been addressed," she said. The training was not mandatory, but Starbucks said it expected almost all of the 175,000 employees at 8,000 stores to participate and said they would be paid for the full four hours. Executives took the same training last week in Seattle. Training in unconscious, or implicit, bias is used by many corporations, police departments and other organizations. It is typically designed to get people to open up about prejudices and stereotypes — for example, the tendency among some white people to see black people as potential criminals. Starbucks said it would make its training materials available to other companies. Many retailers, including Walmart and Target, said they already offer some racial bias training. Nordstrom has said it plans to enhance its training after three black teenagers in Missouri were falsely accused by employees of shoplifting. In the Philadelphia incident, Rashon Nelson and Donte Robinson were asked to leave after one was denied access to the restroom. They were arrested by police minutes after they sat down to await a business meeting. Video of the arrests were posted on social media, triggering protests, boycott threats and debate over racial profiling, or what's been dubbed "retail racism." It proved a major embarrassment for Starbucks, which has long cast itself as a company with a social conscience. That included the earlier, widely ridiculed attempt to start a national conversation on race relations by asking its employees to write "Race Together" on coffee cups. Starbucks said the Philadelphia arrests never should have occurred. Some black coffee shop owners in the city suggested black customers instead make a habit of patronizing their businesses. Amalgam Comics and Coffeehouse owner Ariell Johnson said she has called the police just once in the two years she has been open. She said that should happen only when there is a provocation or danger. Nelson and Robinson settled with Starbucks for an undisclosed sum and an offer of a free college education. They also reached a deal with the city of Philadelphia for a symbolic $1 each and a promise from officials to establish a $200,000 program for young entrepreneurs. The two men visited the company's Seattle headquarters on Friday, Schultz said, to "see what Starbucks does every day." He added that Starbucks CEO Kevin Johnson has agreed to mentor them. "I suspect this won't be the last time they come," Schultz said. Calvin Lai, an assistant professor of psychological and brain sciences at Washington University in St. Louis, said diversity training can have mixed effects. "In some cases it can even backfire and lead people who are kind of already reactive to these issues to become even more polarized," Lai said. One afternoon wouldn't really be "moving the needle on the biases," he said, especially since Starbucks has so many employees and they may not stay very long. Starbucks said the instruction will become part of how it trains all new workers. Stores will keep iPads given out for Tuesday's meetings and new videos will be added every month for additional training. Starbucks said it also plans to hold training at its stores in other countries. Associated Press reporters Terry Tang in Phoenix, Phuong Le and Elaine Thompson in Seattle, Lynne Sladky in Miami, Mark Gillespie in Cleveland and Errin Haines Whack in Philadelphia contributed to this report.